Plot Outline: In the Valley of Peace, Po Ping is revelling in his fulfilled dreams as he serves as the fabled Dragon Warrior protecting his home with his heroes now his closest friends. 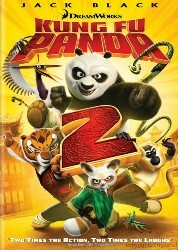 However, Po and company learn that the murderous Lord Shen of Gongman City is threatening the land with a fearsome new weapon that could mean the end of kung fu. They attempt to stop him, but the panda is burdened with crippling memory flashbacks linked to this villain. Now with China in the balance, Po must learn about his past and find true inner peace against all opposition.